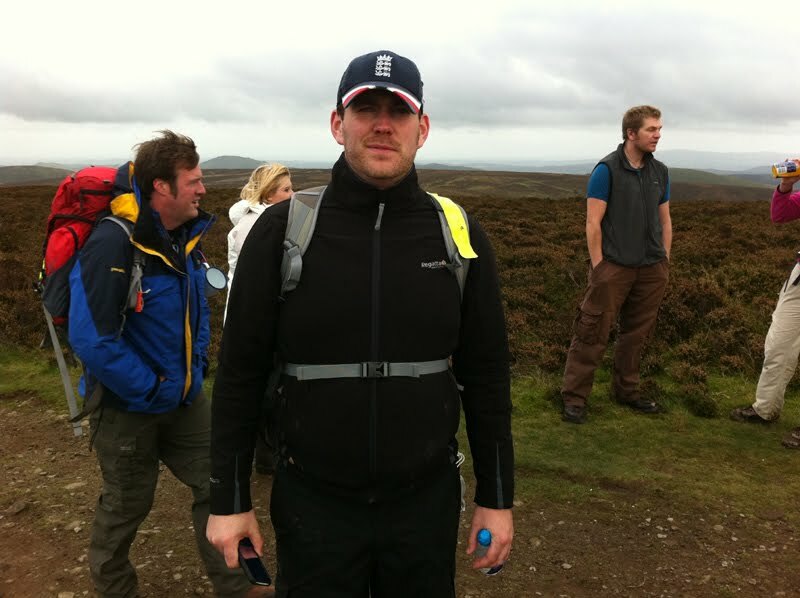 Myself, Matt B, Frank & Leevan tackled the 2010 Longmynd Hike with only Paul having completed it in previous years. 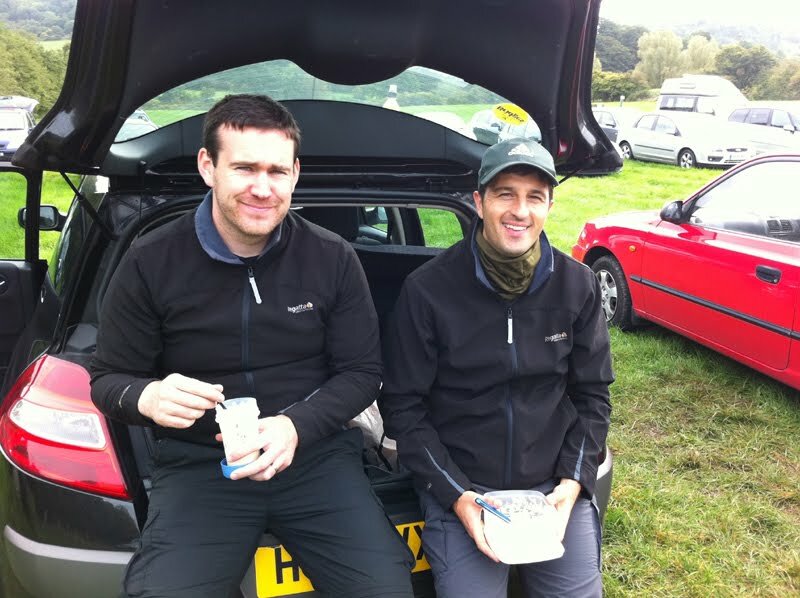 It was an early start for Paul and Matt with a drive from Reading to Church Stretton in the morning although an overpriced American Breakfast and a warm drink at The Little Chef broke the journey up. Frank and Leevan were slightly more rested having rented a cottage for the weekend. Paul and Matt arrived at the Technology School which was to be the base of operations for the weekend and passed the kit check which was run in the usual efficient style before taking part in a science study and then packed their kit bags and had some lunch before the start of the event. Frank and Leevan arrived a short while later and checked in. The guys made their way from the school to the Old Cardington Lane start point about a mile away and joined the other 430 competitors who were planning of running/hiking the route. It became apparent that 120 people “no showed” for the event probably put off by the weather but it was disappointing to hear particularly when there was no shortage of people on the reserve list. 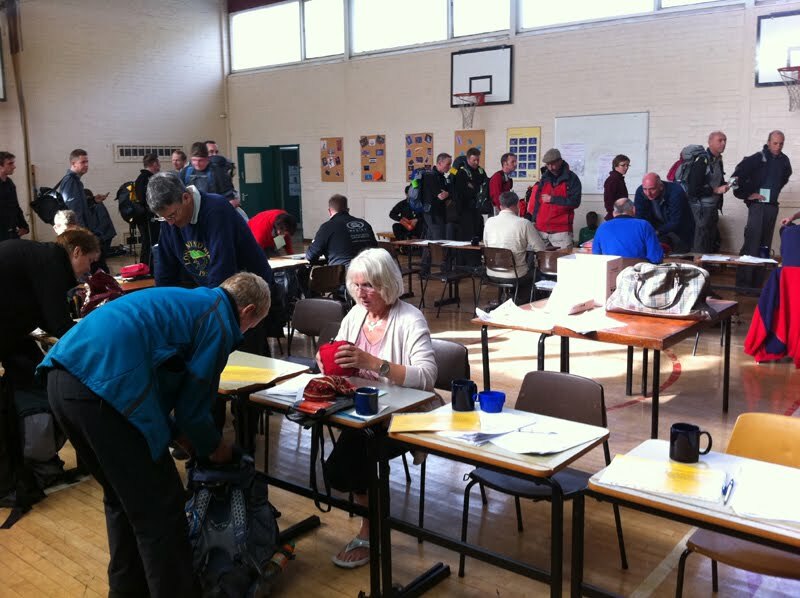 The assembled hikers and runners collected their tally sheet and were soon off after 1pm with 17 checkpoints, a number of hills and 50 miles between them and the finish. 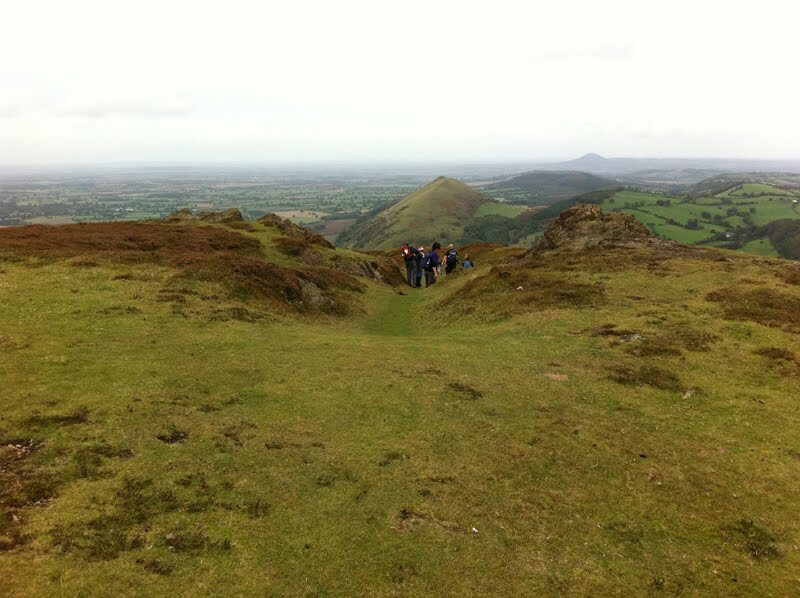 The team headed off up the first hill towards Checkpoint 1 (Caer Caradoc) and the enormity of the challenge soon became clear as the hikers strode towards the top. Leevans heart monitor was employed giving him constant readers which topped out at 176 beats per minute which equates to him exerting himself at 90% of his capacity up the first hill. Thoughts of a mobile medic ran through the Leevans head briefly particularly as he questioned Paul on his manual reading of only at 96 beats per minute (approx 50% capacity). See, running is good for you. 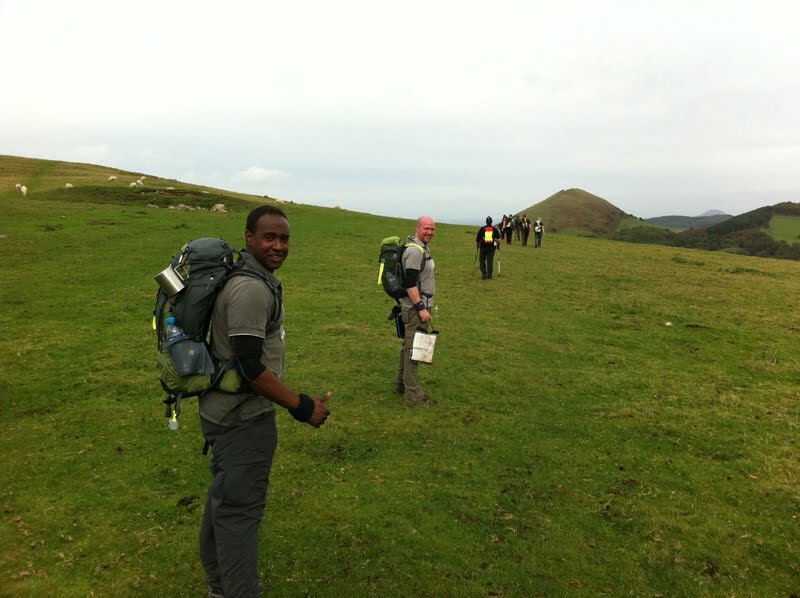 The team reached Checkpoint 1, had their tally sheets clipped and then headed towards Checkpoint 2 (The Lawley) which was on top of another large hill. The team had be pre-warned it was a tough start and pushed on passing some fantastic scenery including a very high view of the cottage Leevan and Frank had been staying at. In fact, they could both see their wives at the very bottom waving up at them! The team clambered up Checkpoint 2, checked their tally sheet in and then headed back down the hill again towards Checkpoint 3 relieved that 2 of the toughest obstacles were out of the way. The team followed a procession of people through some lanes and public footpaths towards Checkpoint 3 (High Park). Leevan had started to feel the effects of the two hills and was slightly labouring and looking forward to having a short break at the next Checkpoint. The team took on some water at Checkpoint 3 and had a drink of squash. 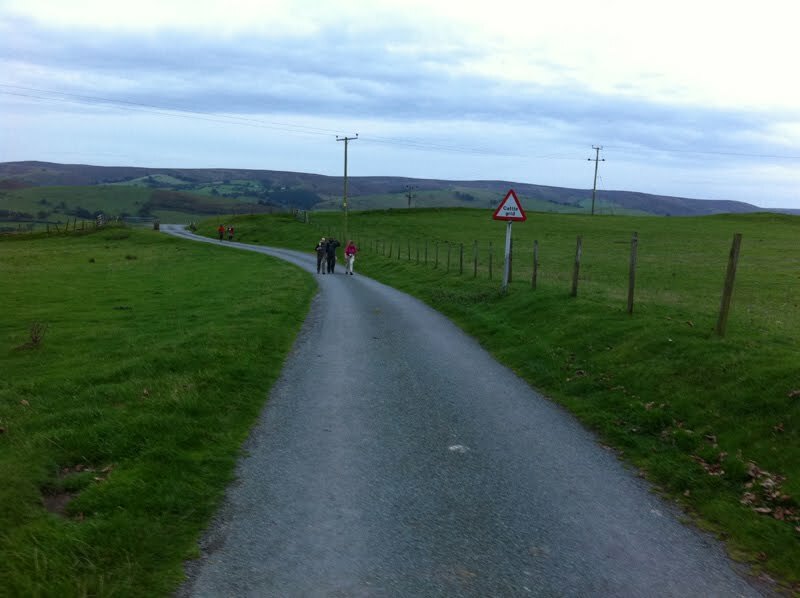 The advertised alcohol had long since run out unfortunately and pressed ahead to Checkpoint 4 Pole Bank. 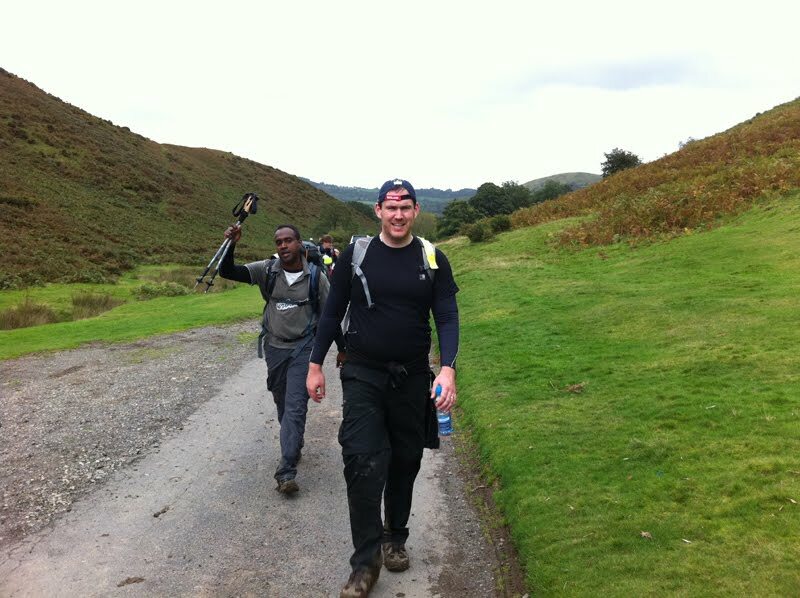 The route to Checkpoint 4 was a long gradual climb and the team pressed on ahead. 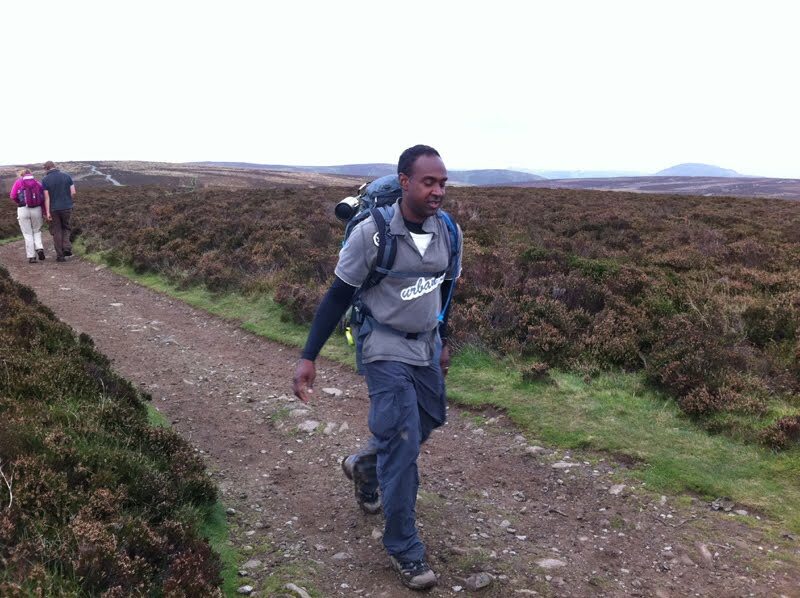 Leevan was still labouring and the team began to fear he might drop out, the team hadn’t even reached the 10 mile mark yet! Leevan pressed on and then had a brief stop at the Checkpoint to take on some pain killers which seemed to do the trick as he enjoyed a remarkable recovery as the team picked up the pace towards Checkpoint 5 which was more of a downhill route (Bridges). 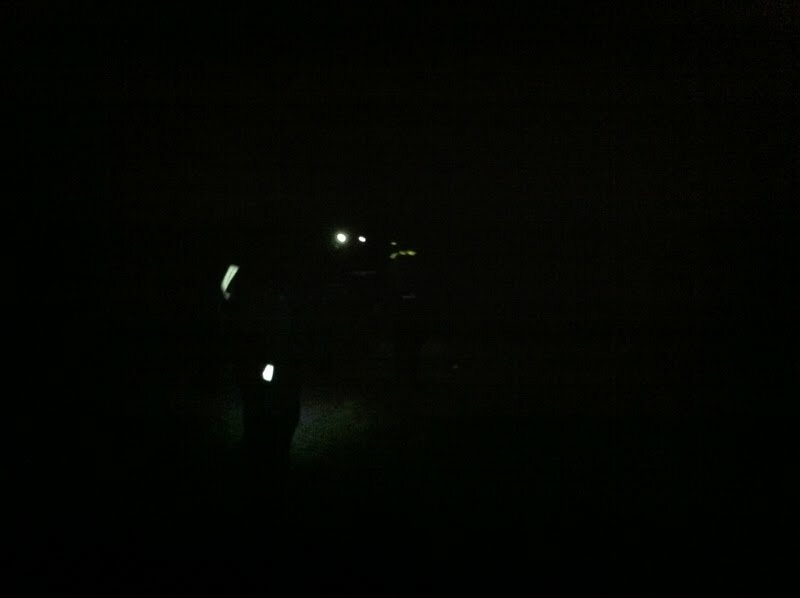 The team arrived at Checkpoint 5 Bridges near a now abandoned pub (which we’re sure was open the previous year) having covered 12 miles and were then asked to group up as it would start to get dark. The team picked up an additional team member (Rebecca) who had bravely attempted to tackle the even herself when her brother didn’t enter in time and the group of five headed upwards towards the Stipperstones. 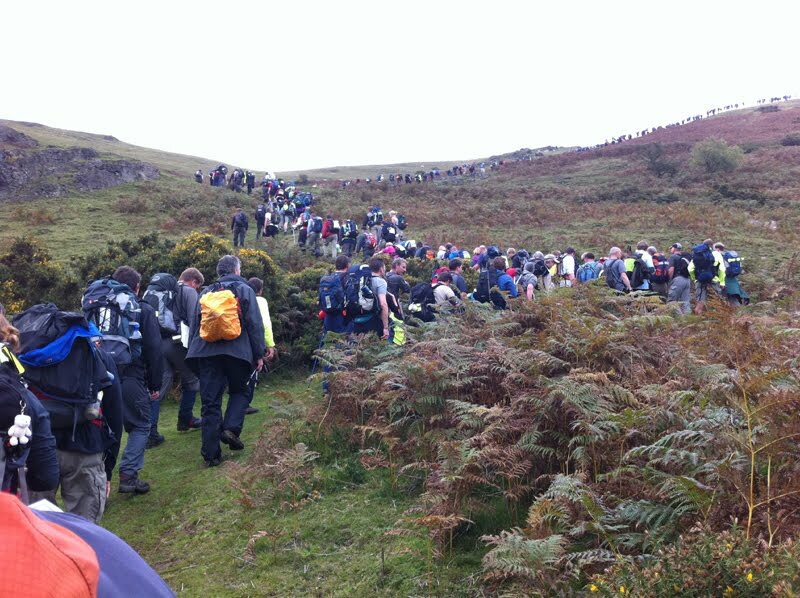 The team head towards Checkpoint 4, man in front (Richard) was 80 years old! 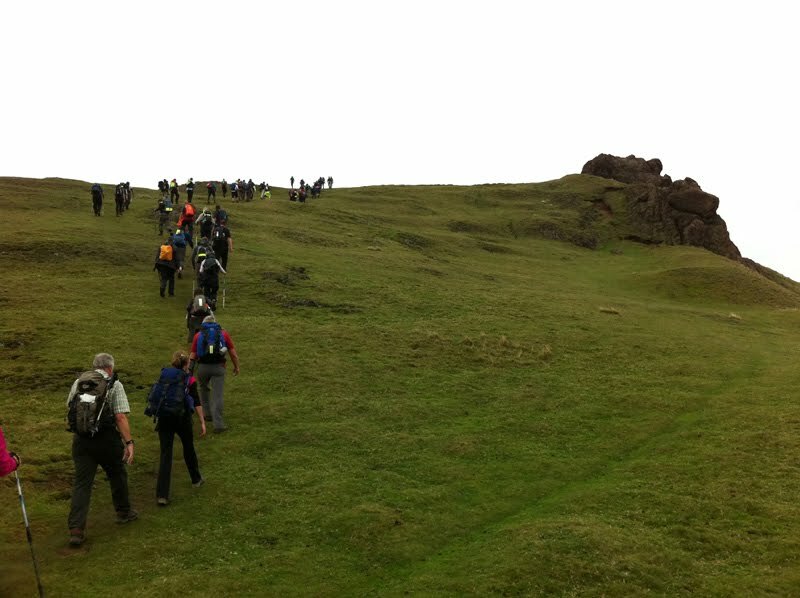 The team headed up the hill towards the Stipperstones (appeared to be an old riverbed of jagged rocks) and made to Checkpoint 6 (Stipperstones) and followed the treacherous path in the dark. The head torches became necessary now to ensure you could see the path you were treading. The team mde it to Checkpoint 7 (Earls Hill) which involved trekking through some extremely boggy pathways and a climb up a steep hill. Rebecca was struggling up the hill at this point but continued back down the hill with the others and headed towards Checkpoint 8 (Bank Farm) where there was a promise of a warm drink and some snacks. At Checkpoint 8, Rebecca decided to retire having covered about 22 miles and after a short break the boys carried on towards Checkpoint 9. 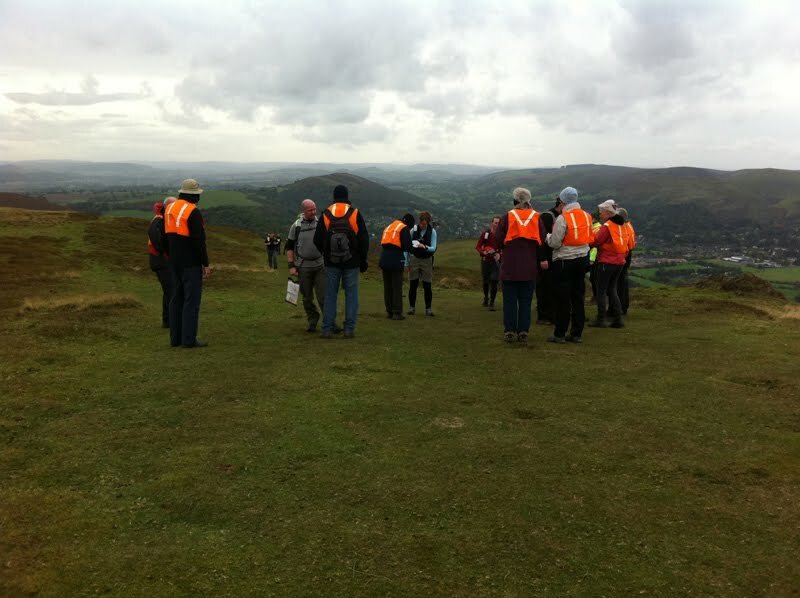 At this point, the group were by themselves with no other groups visible and had to start navigating themselves. The team did a reasonable job of keeping to the route thanks to a combination of old school maps and compasses and the occasional reference to googlemaps and the iPhone although they did take one slight detour and took a slight longer route to the next checkpoint at Shelve by following a road surface more than a track path. Matt Brown had now started to struggle with a calf and heel injury and was now only moving at a sluggish pace, he made the decision to himself to retire at the next Checkpoint. At the next Checkpoint Matt retired and was fortunate to get an immediate lift back to the base of operations. 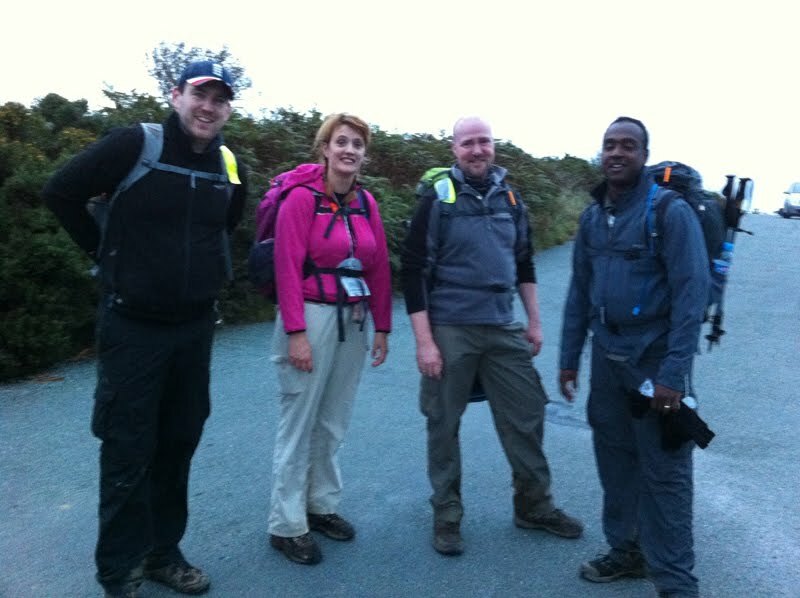 The group had now reduced from 5 to 3 but that was the minimum group number so Paul, Frank and Leevan pressed on. The team had been out for nearly 12 hours and had covered 27 miles with another 23 to go through the night and the next day. 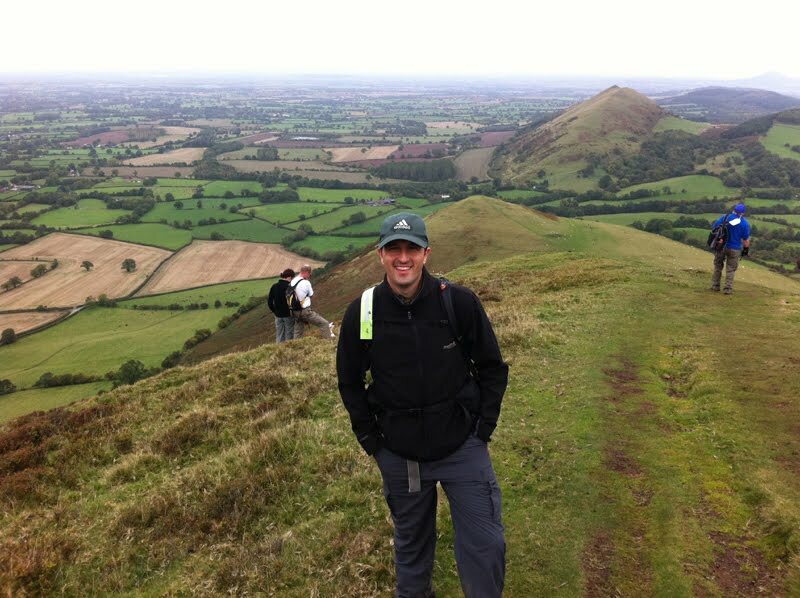 The team had an awful leg up Corndon Hill which involved a steep climb up a fern covered hill to a tent at the top (brave marshall). The top of the hill was very exposed and it had started to rain and the team were starting to get battered by the rain and wind and all zippers, hats and coats were zipped up tight as the wind was howling around. Frank had started to feel the effects of the hike on the climb and was thinking of retiring at the next available Checkpoint. 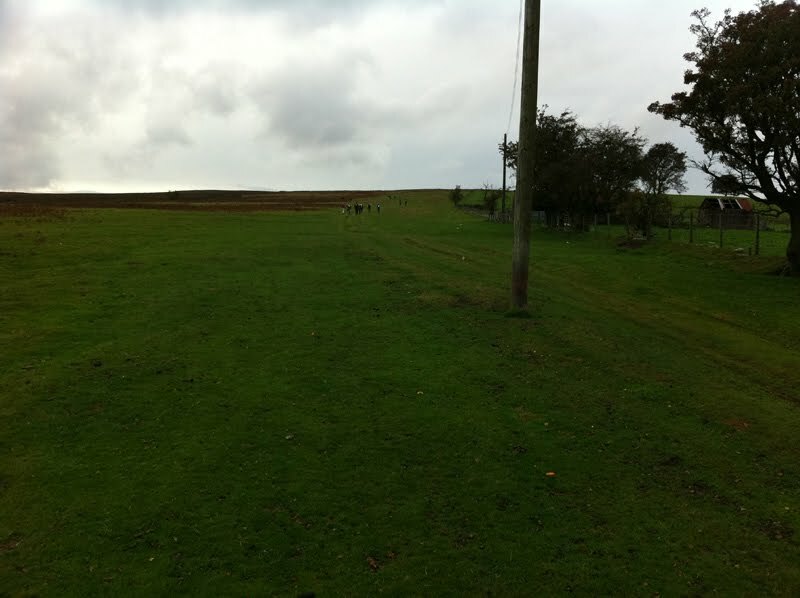 Another couple of groups had made it to the same Checkpoint and a trail of about 10 people set off back down the hill (a longer way round) towards Checkpoint 11 Woodgate Farm (32 miles). 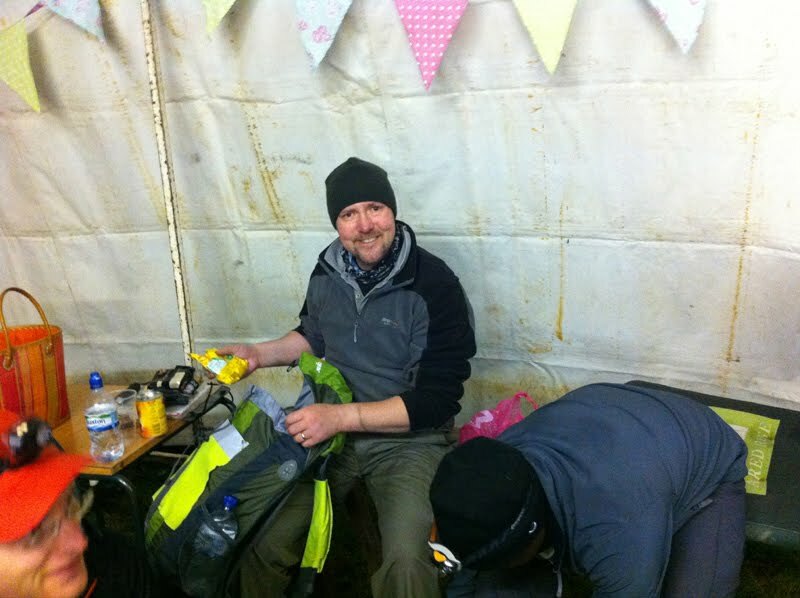 At Checkpoint 11 Frank retired as did Leevan both having started to feel the effects of a long tough 32 mile walk. This left Paul as the sole member of the group and he was forced to join another team for the rest of the night (for safety reasons) which included Richard our 80 year old local. That’s right, an 80 year old got further than the majority of the team! Paul introduced himself to his new team which included Tom, Yasmine, Abbey and Richard and the team set off led by Richard (who knew the route) and Tom (who had researched the route). 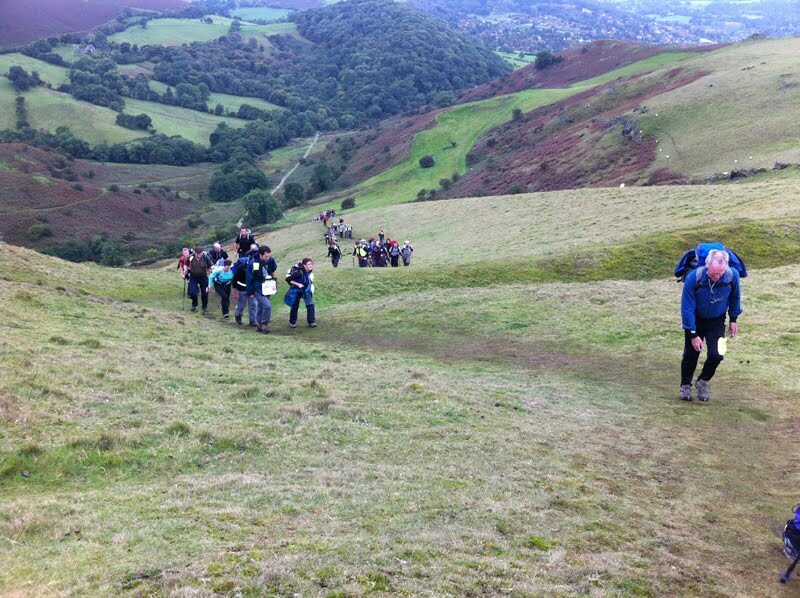 The next Checkpoint was around Black Rhadley which involved a detour from previous routes but Richard and Tom had everything in hand as the group pressed on. Richard had started to struggle up Black Rhadley as the rain started to hammer down at around 3am. The rain at this point did not stop for the next 10 hours making conditions very difficult. 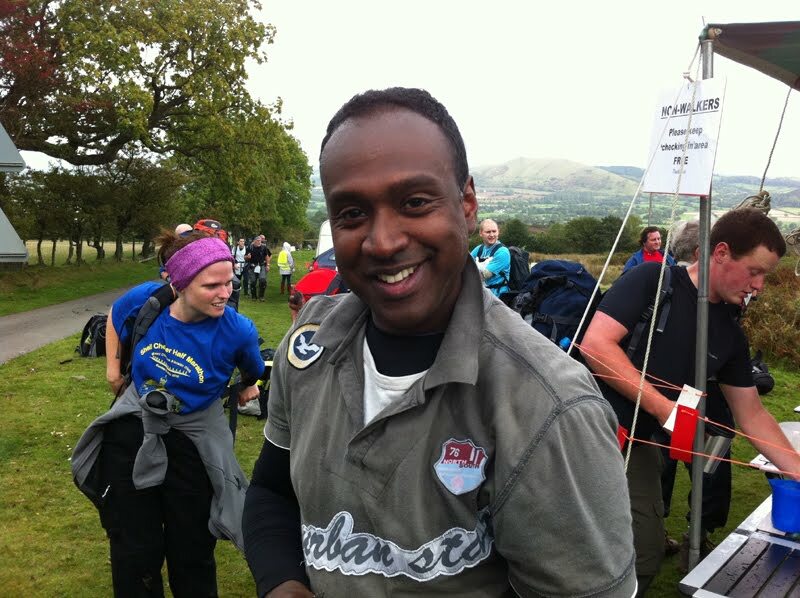 At Checkpoint 13 (Stipperstones Car Park) Richard retired despite the teams protestations having covered around 38 miles, it was an incredible effort for a chap in his advancing years and the team were gutted he didn’t manage to make it to the end. The team ploughed ahead now down to four people. There was a minor wobble when Yasmine started to struggle a bit with Tom encouraging her to keep going. The teams desire to continue was reinforced when they asked Paul his feelings, “failure is not an option” came the bold response. Truth be told, he could have easily packed in it there but felt that the mickey taking opportunities to finish whilst all his team mates had packed it in was too good to miss!  It was now early morning and the darkness started to break which re-energised tired heads and sore limbs. The team got to Pole Cottage with the rain still hammering down and didn’t stay long as the slow pace of the walk meant there was a slight risk of not completing the route in 24 hours. 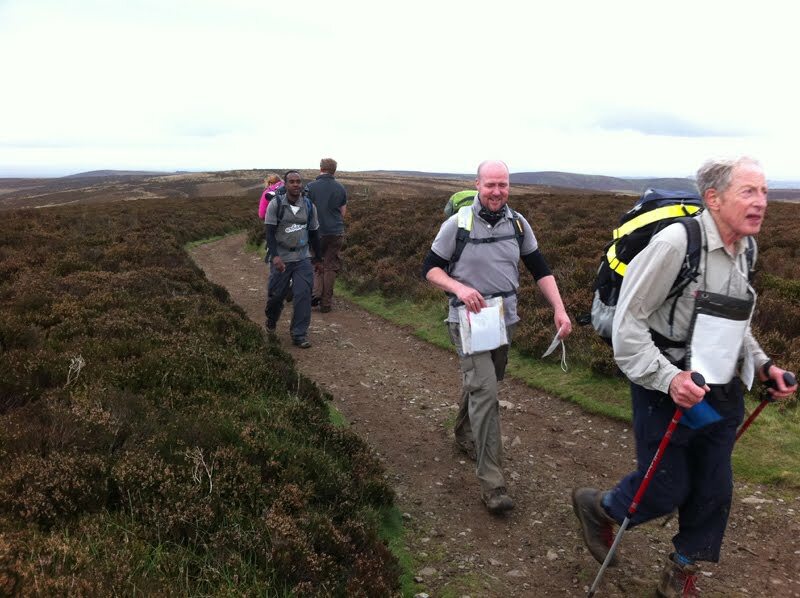 Paul tried to set the pace for the group with Tom doing an able job of navigating the the team as they pressed on towards the automated Checkpoint at Minton. The route here was a mixture of up and down but the constant rain had made the path wet, muddy and slippy and there were a number of minor falls down the slope near the automated checkpoint. As the team passed Minton there was one last Checkpoint to go before the finish but it was going to be another tough climb as the Checkpoint was on top of Ragleth Hill. 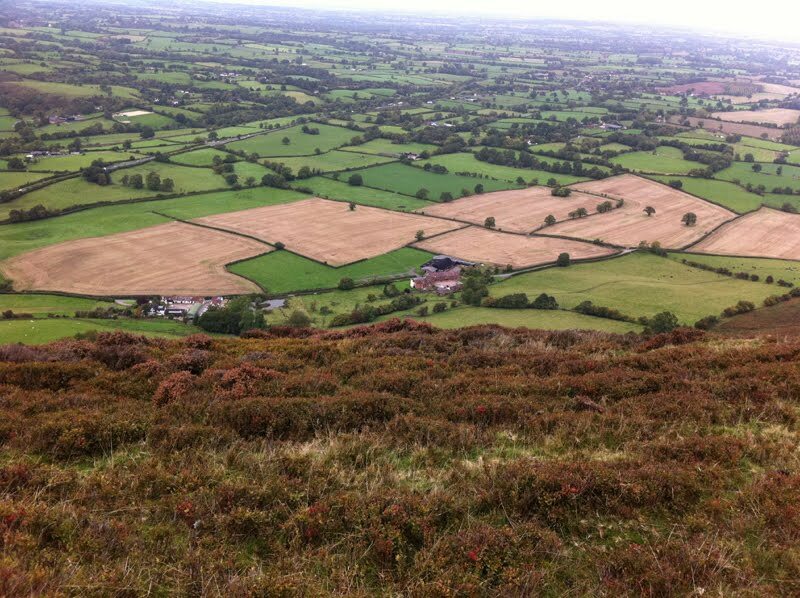 Paul managed to finally get a phone signal and reported his location to the team and arranged a pickup, made a quick call home and then followed the team up the hill. 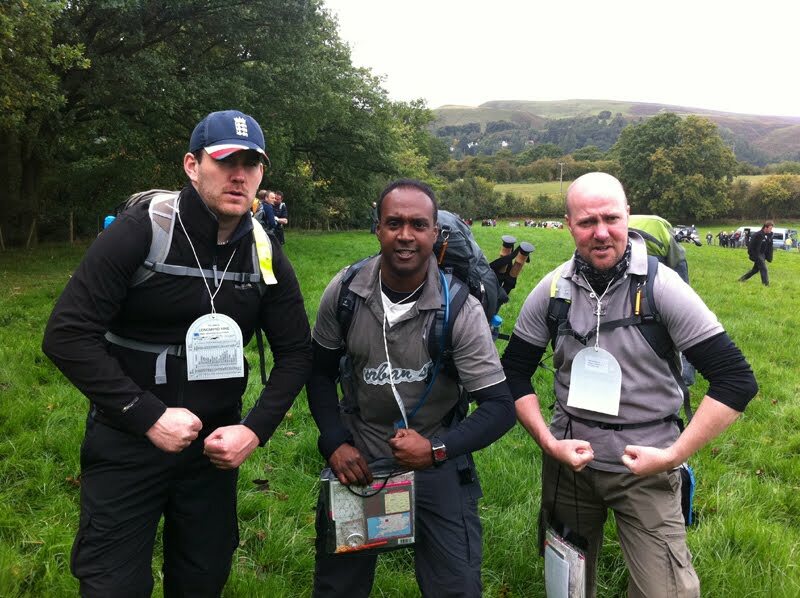 The climb was not as tough as first expected and soon the team had passed the final Checkpoint and were less than two miles to the finish. 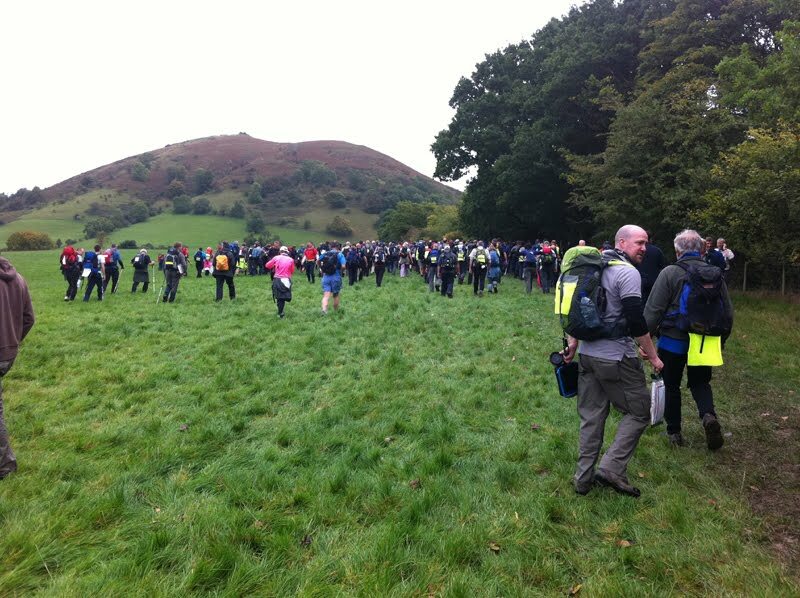 The rest of the route was virtually downhill although some of the roads near Church Stretton had flooded leaving the team to wade through the water but as the team got nearer to Church Stretton everyone knew they were virtually home. The rain had not stopped at all and was still hammering down. The finish was anti-climatic for Paul, with the rest of the group retired and just the smug satisfaction of being the only member home to hang onto. Thankfully, a cooked breakfast (now lunch) was still being served and he wolfed this down before Matt arrived to pick him up. Overall, the conditions made it tougher than last year and longer with the team only moving at the slowest persons pace dragging out the number of hours taking to finish the walk. 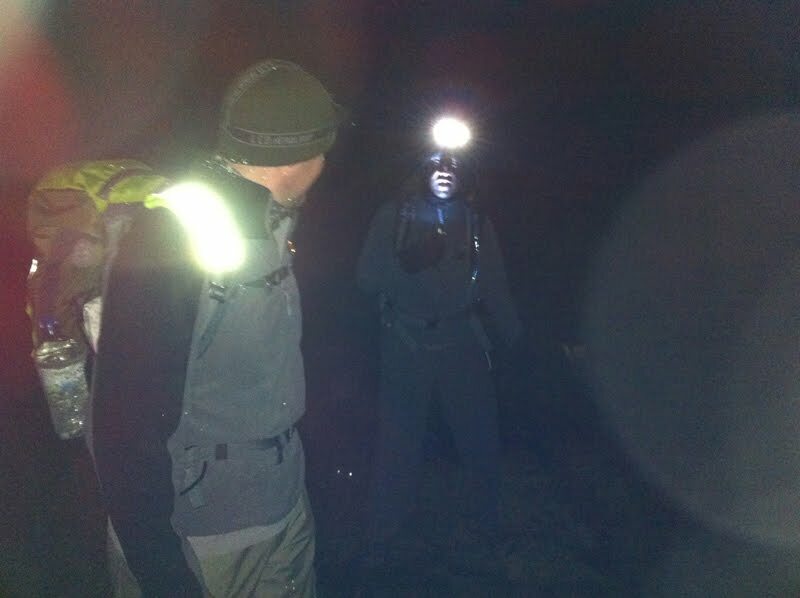 The weather from 3am Sunday morning was horrible but Matt, Leevan and Frank put in a good effort for their first major attempt at a hike whilst Paul was expected to finish anyway, so did the required job. As a point of interest, the first runner made it home in about 8 hours, incredible. Finally, the organisation for the event was once again fantastic with superb organising and marshalling for the full 24 hours of the event and a cooked breakfast at the end. Using the school as a base of operations is great to accomodate the different finishing times and provide support. The only minor criticism is once again there was insufficient space in the class rooms for all the males to bed down leaving people sleeping in cars, the canteen and corridors. The walk is tough but well worth doing. Matt made it back to the base of operations shortly after retiring and managed to doze briefly in the canteen (class room full, car uncomfortable). 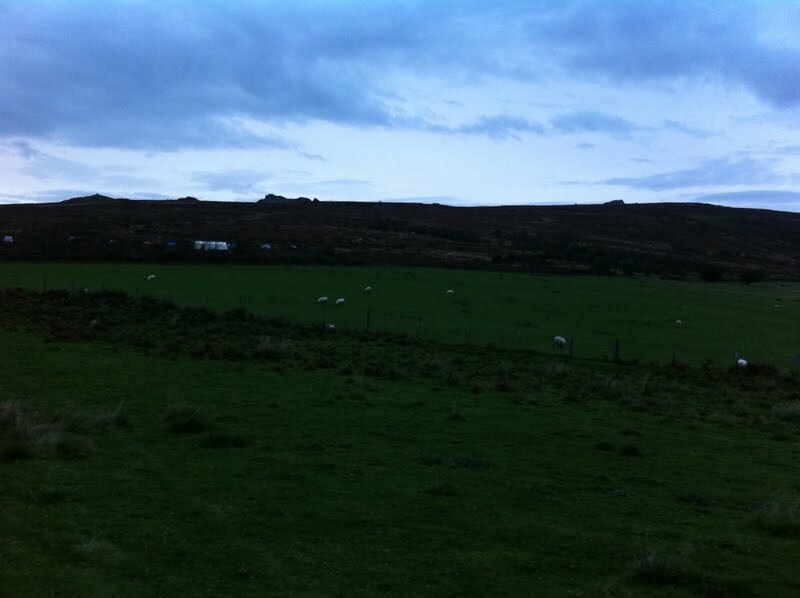 Frank and Leevan had a delay on the coach back to the base of operations as the organisers tried to trace 4 lost hikers (they were found) and arrived back at 6am, where they all (including Matt) made their way back to their rented cottage for sleep, bath, food etc. They all report enjoying the event and all put in a good physical effort.